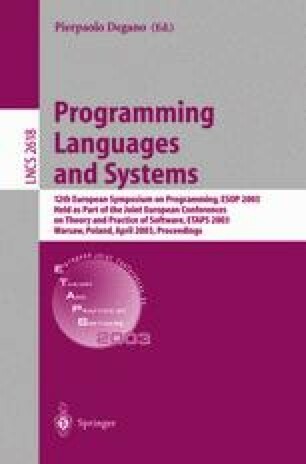 This paper presents a program analysis for secure information flow. The analysis works on a simple imperative programming language containing a cryptographic primitive—encryption—as a possible operation. The analysis captures the intuitive qualities of the (lack of) information flow from a plaintext to its corresponding ciphertext. The analysis is proved correct with respect to a complexity-theoretical definition of the security of information flow. In contrast to the previous results, the analysis does not put any restrictions on the structure of the program, especially on the ways of how the program uses the encryption keys. Supported by Estonian Science Foundation grant #5279. Most of this work was done while the author was at the University of Saarland, Germany.